Sunset Resort, Pomorie, Bulgariabe opening our fourth office in Bulgaria. Our new office will be located in Sunny Beach to cater specifically for UK buyers. From 2008 up to 2013 it is fair to say that the vast majority of Buyers were Russian or from former Soviet States. In early 2014 we noticed that this trend was changing and we were receiving more and more enquiries from British Buyers which we are pleased to say is a trend that has continued. 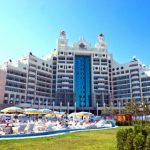 This week we have sold properties in the Black Sea resorts of Sunny Day 3 and Sunset Resort to UK Buyers who have been able to take advantage of the current strong exchange rate between sterling and the euro. We believe that the market awareness in the UK for Bulgarian property is growing and we anticipate that sales in 2016 with surpass those seen over the past 5 years. The average price paid by UK Buyers in Bulgaria over the last two years has been just under €45,000 with the majority of clients opting to spend their money on buying larger apartments without sea views rather than paying more for the equivalent size apartment with a sea view. The feedback we have received in the relation to this has been that the size of the property is more important as they intend to spend more time over there rather than it just being a “bolt hole”. We expect that the number of owners who intend selling property in Bulgaria will continue to grow as more and more of the current owners want to move on from Bulgarian property and try something new. This is quite understandable as many owners first purchased their property in Bulgaria over 10 years ago. At Appreciating Assets we have been carefully studying the market in recent months to monitor the real effect of the weakening Russian rouble on the Bulgarian property market. December 16th 2014 saw the rouble at its weakest against the euro but thankfully it began to strengthen again following that day. The market for Appreciating Assets property sales in Bulgaria continues to be strong despite the currency fluctuations for a number of reasons, not least of which is the continued demand for Bulgarian Property from Russian investors. 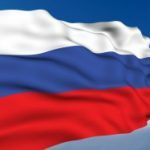 While it is true to say that the Russian economy is not as strong as it was 12-24 months ago, we must remember that Russia has a population of over 140 million people and much like Ireland or the UK from 2009 to date there are still a very large number of people with money and the majority of those people in Russia are seeking investments outside of Russia. The approach of Appreciating Assets property sales in Bulgaria remains the same today as it did when we first started selling Bulgarian properties almost ten years ago. Property sales in Bulgaria are made by professional agents who have built a solid reputation within the market for offering quality properties at competitive prices. Appreciating Assets property sales in Bulgaria offer just that. The first step to any sale is when a Vendor contacts us with a view to selling their property in Bulgaria. We then value the property by having our local offices in Bulgaria carefully compare this property with similar properties that have recently sold or that are currently for sale. By using this comparison method we are then in the position to advise our client as to the highest price we feel the property can achieve if brought to the market at that time. Once we are in agreement with the Vendor as to the asking price for the property we then place the property on the market for sale. When selling property in Bulgaria we use a tried and tested mix of on-line and traditional media marketing to gain the attention of potential Buyers for our clients properties. We also distribute the details of our properties to an extensive network of Estate Agents throughout Bulgaria and Russia who in turn bring them to the attention of their own client data base. When a Buyer is found for our clients property we can handle the entire process for them or we will work with any legal representative they appoint. Please do be aware that the Bulgarian property market is still suffering from an oversupply and as such sales do take time and miracles such as a really high price in within a week rarely happen so please do be realistic. If you own a property in Bulgaria that you are considering selling Appreciating Assets can sell it for you. We are delighted to offer this fully furnished two bedroom, 115 m2 property for sale in Sunset Resort Bulgaria. The property is located on the sixth floor of Building A in Sunset Resort. In addition to offering the much sought after sea views that most buyers on the Black Sea are searching for, it also offer a very spacious balcony to enjoy it from. The property is for sale with an asking price of €115,000 and viewing is strongly recommended. Please Click Here for a full description and photographs of the property. Sunset Resort has a huge range of facilities in addition to the wonderful swimming pools, including; cocktail bars, restaurants, shops, outdoor cafes, and so on with the added benefit that all are set in extensive private grounds. There are beautiful views of the sea and, indeed, towards the Stara Planina Mountain. This is a luxurious resort that is the envy of many in Europe with all the leisure facilities and services you could possibly wish for – a great choice for a high class vacation. Pomorie was founded by the Ancient Greeks under the name Anchialos (Greek: Αγχίαλος), deriving from Ancient Greek “anchi-” (“near, close to”) and “als-” (either “salt” or a poetic and uncommon word for “sea”). In Latin, this was rendered as Anchialus. The Bulgars called the town Tuthom, though it’s more common name in Bulgarian was Анхиало, Anhialo based on the Greek name. During the Ottoman rule, the town was called Ahyolu. In 1934 the town was renamed to Pomorie, from the Bulgarian “po-” (in this context “by, next to”) and “more” (“sea”), corresponding to one of the two etymologies of the original Greek name. We are very pleased to offer this 54.5 m2 (600 sq ft approx) one bedroom property for sale in St Ivan Rilski Bansko at the attractive price of €25,000.The property is located on the ground floor of Block 3 and comes to the market fully furnished. Viewing is highly recommended as a property for sale in St Ivan Rilski does tend to sell very quickly. Please Click Here for full description and photographs of the property. 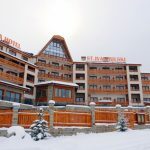 The Bulgarian hotel chain FPI Hotels & Resorts selected the best and the most swiftly developing ski resort in Bulgaria – the beautiful Bansko for the location of its winter holiday site – the four-star St. Ivan Rilski Spa Hotel, which was officially opened at the end of 2008. One of the indisputable advantages of this hotel is its location. It is situated on the outskirts of the Pirin Mountain close to the lift and near Bansko’s ski tracks. The luxurious St. Ivan Rilski Spa Hotel is an excellent choice for your winter ski holiday, green summer holiday, for organizing conference events, corporate trainings, and corporate events of various formats, weddings and family celebrations. The “St. Ivan Rilski” complex was built on an area of more than 16 000 m². It consists of a new modern four-star hotel, a large SPA centre and 4 exquisite apartment houses. The exterior is based on the typical Alpine architectural style, skilfully combined with traditional Bulgarian elements. The interior is marked by a significant presence of wood, natural colours and modern design furniture solutions. Should you require any additional information on this property please contact us. Russians buy property in Bulgaria, this is not exactly breaking news but what is surprising is how many Russians buy property in Bulgaria. 300,000 Russian citizens already own a Bulgarian property according to the Bulgarian Minister of Economy, Energy and Tourism Assen Vassilev in a recent address to the INTURMARKET -2013 tourism exhibition in Moscow. Here are some other interesting numbers, over 20% of Russians have confirmed that they want to Buy a property in Bulgaria and over 600,000 Russians visited Bulgaria in 2012 which was a 30% increase on 2011 figures. These figures certainly support the notion that Russians buy property in Bulgaria, but what they do not tell us is how much they are willing to spend which is what we are really interested in. Property sales in Bulgaria to date in 2013 have been strong but prices have not. It is not that prices have been slashed again because of either the Bulgarian economy or the Russian economy, the truth is that both economies are in reasonable shape. The problem lies with the Irish and British economies neither of which are doing particularly well at present. As a result a of our own sluggish economies many Irish and UK investors who bought property in Bulgaria during better days are now trying to sell them. Our clients sell their properties for various reasons but regardless of what their reasons may be, the result is still the same. A huge supply of properties for sale at the same time. While it is fair to say that there are enough Russians actively buying properties in Bulgaria to deal with this supply, what we need to be aware of is that because of the large number of properties currently for sale by private owners prices are constantly dropping because owners are being pitted against each other. A Russian Buyer contacts a number of estate agents to try and find the perfect holiday home in Bulgaria. Each agent will give him a number of properties to choose from. Eventually the Buyer decides which property they like. All seems pretty straight forward so far. The Buyer decides to buy a 1 bedroom apartment in development X for €30,000 and informs the other agents that they have made a decision. Each of the agents they have contacted focused on the selling their clients property and now they are watching a Buyer choose a different property. Now it can get messy, the agents will now try and convince the Buyer to change their mind and offer them better value for money. This is when you the owner gets the call and you are told that there is a serious Buyer looking to buy a 1 bedroom apartment for €30,000 but that they have a choice between your property and a similar property. The only difference is price. You now must decide if you are willing to reduce your price to secure the sale. The reduction may not be huge, it may only be 1500 Euro which is a fairly reasonable reduction from your asking price of €30,000. In fact it is only 5%. Your agent will now call the Buyer and confirm that he can offer them a similar property to what they liked but he can get it for them cheaper. He will collect the deposit and secure the sale before any other agent can do the same. Your agent has now secured your sale and you should be happy with them because they did their job. The flip side of this story is that the very next day when your agent is valuing a new clients property and they are using the same comparable method they used to value your property when you first contacted them they will now tell the new client that the most recent sale of a similar property to theirs was for €28,500. Strictly speaking the market price for 1 bedroom apartments in Development X has now fallen by 5%. The point of this example is to illustrate that when Russians buy property in Bulgaria they have such a large choice of properties in excellent locations that in the end, price is your strongest asset. We are not saying that you should drop your price to make a sale but be under no illusions that if you don’t, the likelihood is that your neighbour could. If you would to discuss y0ur Bulgarian property or you need advice on any aspect of Bulgarian property please contact us and we will be very happy to help you in any way we can.